Marla Jensen | Outreach Concern, Inc.
How did you hear about Outreach? A dear from of mine works as a dean at an LA Archdiocese High School. When beginning my job search, she shared with me that her school has used Outreach Concern in the past, so I decided to learn more about the inte nship and go ahead with the application process. I have a good deal of experience working in schools, as a teacher and counselor, so knew that this opportunity would accurately fit my niche. What are some other roles you play in life you would like to share? I started my career in education as a teacher. During graduate school, I started my own tutoring company so that I would be able to work my way through graduate school. Five years later, I am still tutoring and love it! It allows me to continue working in the mindset of a teacher, which I studied long and hard to do, and breakup my day with a more lighthearted focus. 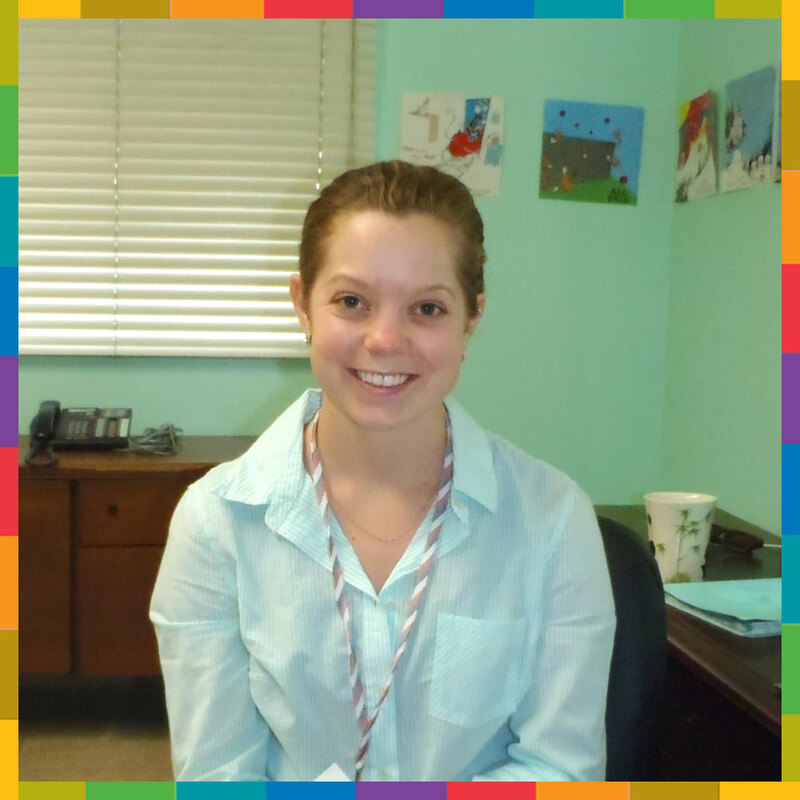 Tutoring is a part of me that will most likely continue throughout my career as a professional clinical counselor. I have never been one to have one focus in life, especially when it comes to work. Outside of working, I enjoy traveling with my husband to be. We frequently vacation to Lake Tahoe and other local spots to keep ourselves stimulated with adventure. What led to your decision to be a school counselor with us? Outreach Concern hit two soft spots in my life: I am a graduate of Catholic School myself and I enjoy working with children. I know that working in a school setting opens the doors to a multitude of counseling scenarios. I was intrigued to work as a school counselor for another year (I worked in two secular schools last year), especially in a faith-based setting. Though I seek a career in a clinical setting, I have enjoyed my time in school setting, especially with my knowledge of education. What are some key elements needed while working with children and adolescents in this role? Patience. Humor. Flexibility. Humility. Childhood and adolescence is such an interesting time in a human’s life. I find that meeting them at their level is number one in being successful as a counselor. Patience allows me to understand that a first grader may need to tell me about what happened on the playground before beginning the counseling intervention. Flexibility reminds me that no matter how detailed my plans are for sessions, they will never run as planned. Humility helps the children see that I am just a person, a person that seeks to understand them, not discipline them. How do you identify change in clients? For me, relationships are a huge indicator of change. Relationships with peers, teachers, parents, siblings, and self tell a lot about how a child has progressed in treatment. I find that the relationship with self is the most telling, though. One’s self concept, especially in the childhood and adolescence years, must be positive and rational in order for a child to truly find their success in the world. How can this practicum/internship experience help you in your future working in the mental health field? Clinical supervision has been a huge part of the adventure. My supervisor provides insight from an angle that I have never seen with past supervisors, allowing me to focus on the individual, rather than the big picture. I find that school counseling can sometimes lead counselors down paths that stray away from the individual, and my supervisor has provided insight into narrowing treatment to who is in the counseling session first, then the big picture. What words of wisdom can you share with future candidates of Outreach Concern? I have a huge advantage being educated as a teacher and working as a school counselor in my traineeship. A general knowledge of the school system is essential: IEPs, SSTs, and Special Education, to name a few. It is also important for future candidates to understand that this is not a clinical setting, they will not be diving into formulating clinical diagnoses and treatment plans, though case conceptualization is a huge part of the process. School counseling tends to be a short-term solution for students who may not have the support system and coping skills to support themselves through typical childhood traumas (divorce, peer conflict, academic difficulty). Be ready for days that go unplanned; know how to create relationships with faculty, staff, and parents; and know how to incorporate every stakeholder into each conceptualization, because children are raise by a village. This entry was posted in Featured Counselors. Bookmark the permalink.